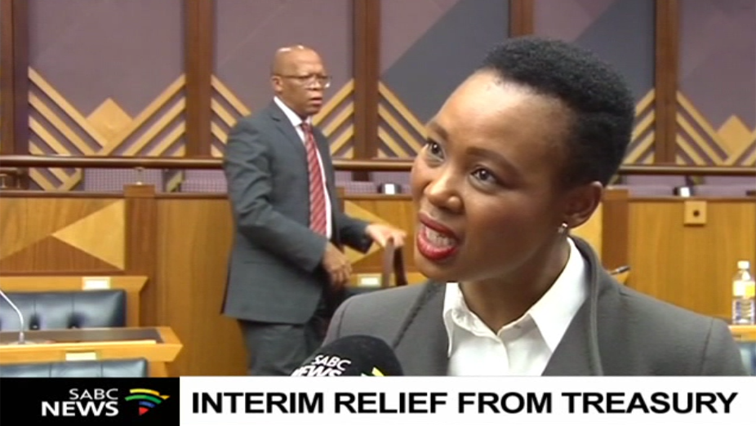 Minister of Communications, Telecommunications and Postal Services Stella Ndabeni-Abrahams, says the South African Broadcasting Corporation (SABC) will get immediate interim relief from National Treasury in order to deal with its liquidity crisis by the end of this month. This as the SABC warned that it would not be able to pay staff salaries at the end of this month if something is not done to recapitalise the public broadcaster. The organisation revealed that it would reach factual insolvency at the end of March. It says it is not able to pay some suppliers to the tune of about R1,4 billion. And worse still, it anticipates to record a net loss of R568 million for this financial year. However, both the Minister and SABC Group CEO, Madoda Mxakwe, says their interactions have been fruitful. “Treasury has told us that we will provide interim relief to SABC for it to be able to attend to their needs and that does not mean salaries. We will not be providing money for salaries, but we will pay for other things including the debts that we make sure SABC takes care of it to be able to continue with the business of the day,” says Mdabeni-Abrahams. Meanwhile, SABC group CEO, Madoda Mxakwe, has since offered the assurance that workers at the public broadcaster will indeed be paid their March salaries. He made the comments in an interview with SABC News in Parliament. The SABC’s hard copy presentation to the Parliament Communications Committee said the public broadcaster could not guarantee that it would be able to pay staff at the end of March. The post SABC to receive interim relief from Treasury appeared first on SABC News – Breaking news, special reports, world, business, sport coverage of all South African current events. Africa's news leader..